Shrimp Crack is the result of a lot of research & testing, it is packed full of essential vitamins & minerals, like calcium, magnesium, potassium & also has a lot of essential trace minerals. 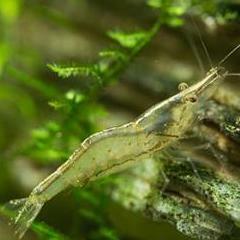 It is made from all natural products & has no animal protein in it, which is very beneficial to shrimp health & well being. Great product, all my shrimp species love this and go nuts as soon as it hits the water.